I get a real kick out of seeing New Zealand-built machinery that holds its own in Australia and the wider world. Kiwis are an inventive bunch who find unique solutions to problems. The Waikato-based Hoyle family are now in their third generation of problem-solving for the agricultural and earthmoving industries, as I discovered during a recent visit to HW Industries. 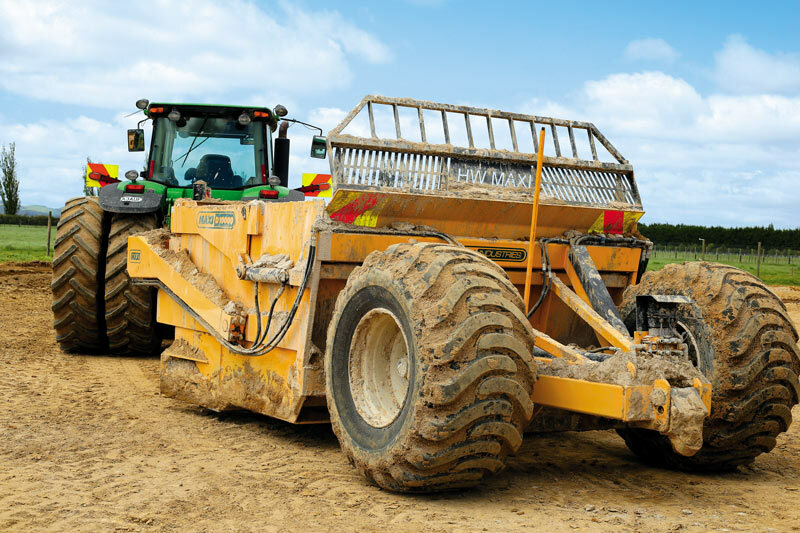 The business is home to an impressive range of machinery – from ag trailers and construction dumpers to scrapers and rippers – designed and built on-site in Cambridge. With a history spanning 60 years, it has been steered by members of the Hoyle family since it first started. Today, owner Derek Hoyle is joined by three of his sons dedicated to keeping the business progressive and thriving. A tour around the factory offers an insight into why these trailers are sought-after, both in New Zealand and Australia. Clever design, quality materials and workmanship are obvious throughout the process. I took a quick trip down the road to catch up with Dean Hoyle, the owner of DNA Contracting. Also based in Cambridge, DNA Contracting works around the greater Waikato area. Dean’s range of earthmoving equipment includes two HW scrapers pulled behind John Deere tractors. 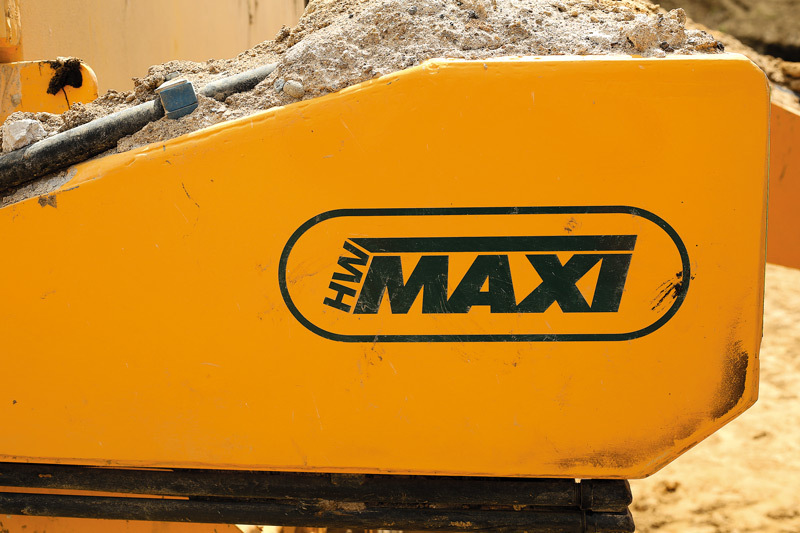 The HW MAXI D10000 scraper I saw was working on a construction site and is the third HW scraper Dean has owned. He is currently looking at purchasing another to use in tandem. "They’re exceptionally well built," he says. "The overall weight is kept as low as possible without compromising strength, to maximise the amount of material that can be shifted." Right from the front of the machine, everything is well built and heavy-duty without any excess weight. 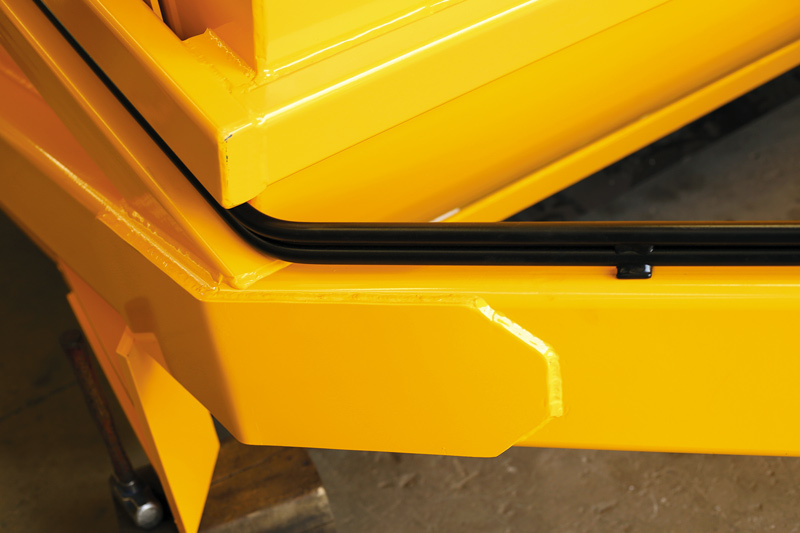 The drawbar hitch is low to the tractor to maximise pulling power (the scraper is also available with a two-point linkage hitch). 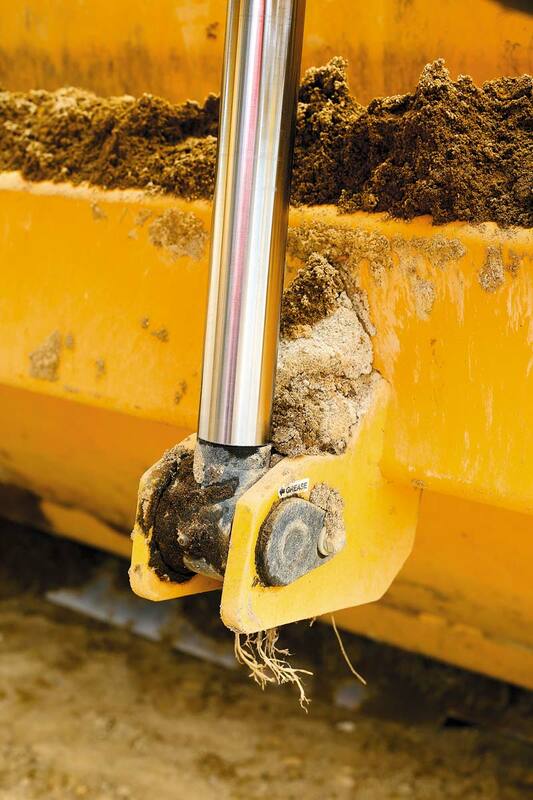 Extra hydraulic rams are required on a drawbar model to lift the bowl and cutting edge up off the ground. The double-acting rams can be used to force the cutting edge into the ground in tough conditions. Steel hydraulic pipework is used to run the lines up the drawbar and anywhere else on the machine required, adding longevity. Heavy safety chains are attached to the drawbar. The bowl is designed to carry 10 cubic metres of material and is built from 10mm plate steel, which is reinforced with plates up to 30mm thick where required, keeping it strong and robust without adding unnecessary weight. A hydraulically operated apron assists even loading and unloading. The clever addition of visual slots allows the operator to see inside the bowl. 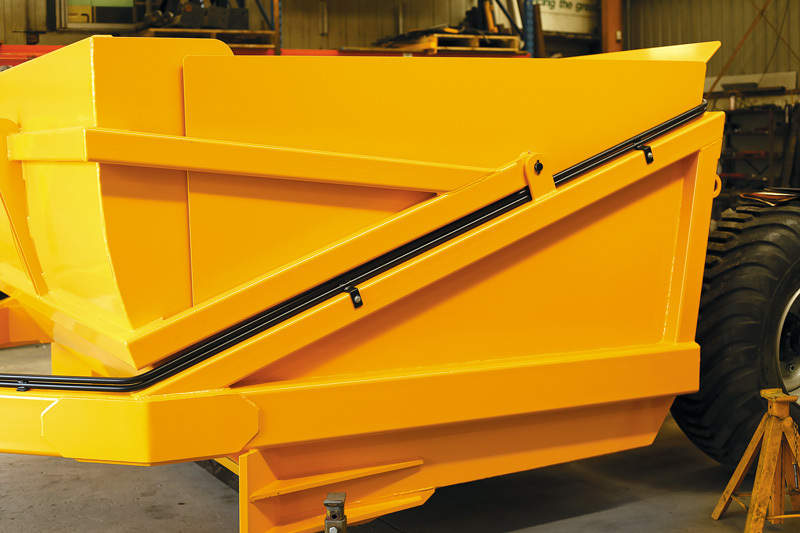 Both sides – the apron and the rear door – are built with relatively high sides, which keeps the machine as short and compact as possible while maintaining capacity. 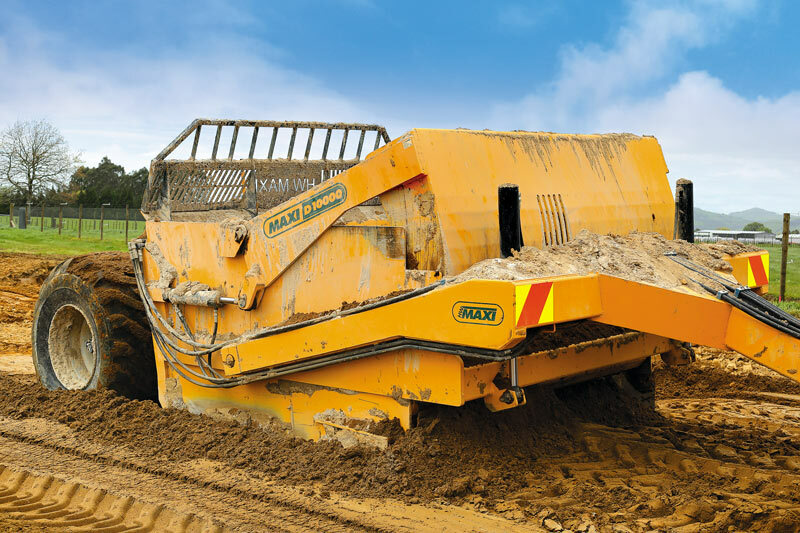 This not only allows a good-sized load to be carried but it also means the machine is flexible enough to be used top loading under a digger to still carry a good load. We had to scratch around for a while to find a negative as Dean is a long-time fan of the HW scraper. The only thing we could come up with is that, in front of the apron, the crossbar allows a small amount of soil to accumulate. This can later fall off in the wrong spot, such as on the road, but it’s an easy fix (sloped angles rather than straight), and he plans to sort this on his next HW scraper. Fitted on the bottom is a step blade. This features a slightly longer middle section that digs slightly deeper, so more material is loaded into the centre of the bowl, making it easy to get a full load without it spilling out over the sides. There are other blade options available from HW Industries, including a straight blade, which is better for roading situations or anywhere an absolute smooth final cut is required. The third option is a castle edge blade, ideal when stripping topsoil or other materials that require breaking up as they are being loaded. Wings on the outer edges of the bowl ensure the full overall width of the machine cuts out for maximum productivity, also making it easy to cut batters. The sturdy rear push door moves forward to push material out of the bowl when emptying the scraper. It’s evenly braced to the centre of the rear of the machine, ensuring material is always pushed out evenly, regardless of how heavy or sticky it is. Nylon wear plates on the slide rails minimise wear and maintenance, and grease points are kept as high as possible to keep them out of the dirt and make them easy to access. At the rear of the scraper, two large 700/50-26.5 flotation tyres carry the weight of the machine while minimising ground compaction. They also help keep the machine stable over rough terrain, as does a low centre of gravity. A side tilt ram fitted to the rear axle is a great idea that allows the bowl and cutting edge to be tilted either way up to five degrees from the level of the rear axle. 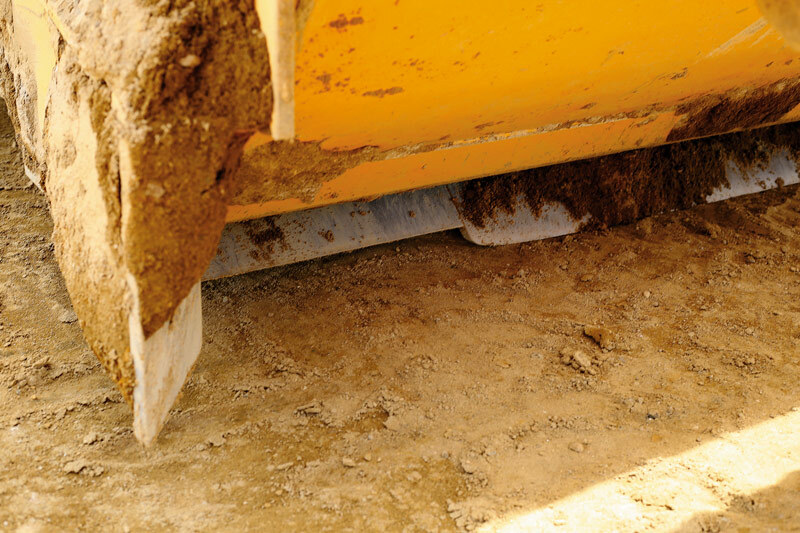 This allows the scraper to be levelled on uneven terrain and makes it easy to build cambered roads. It was good to see a guide rod sticking up from the rear axle, making it easy for the operator to see how far the machine is tilted or when it’s back at level. Although not being used in tandem at the time, the machine reviewed was built as a lead scraper, allowing another matching machine to be towed behind it. Extra steel strength is built into the frame to handle the stress of towing another scraper, and a rear drawbar is fitted. A second set of hydraulic lines run to the back of the machine to an electric-over-hydraulic valve bank. This is used to operate the second scraper. The hydraulics are run on continuous flow and an electric control box is used in the cab for the second scraper. This is a great way to increase productivity where circumstances allow, as horsepower requirements are not hugely more because only one scraper is being loaded at a time. 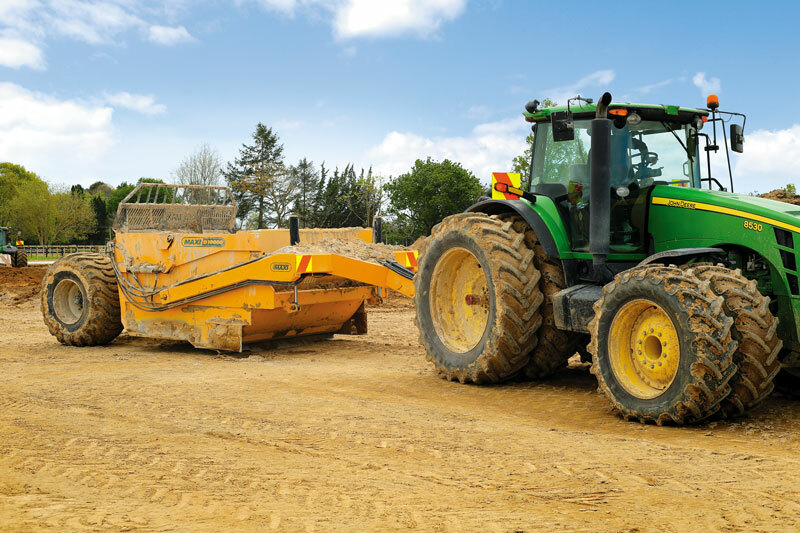 Brakes can be specified for those worried about stopping with a heavy load behind the tractor. HW Industries offers some interesting options worth mentioning that can be fitted to the scrapers. Firstly, there are pre-rippers – these can be hydraulically lowered below the drawbar in front of the cutting blade to loosen material, making loading easier. I’m told that, in hard ground, this results in significant savings in fuel and time. 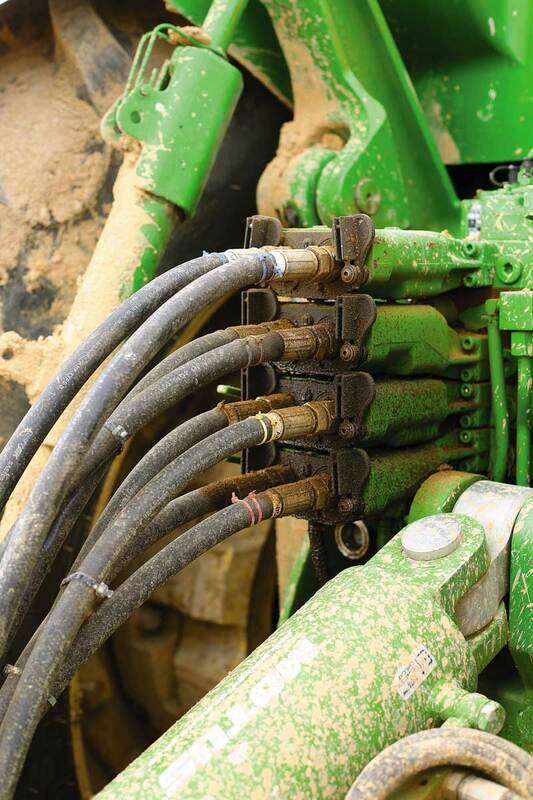 A second impressive yet specialised option is a rut-filling chute for filling ruts left by centre pivot irrigators. Again, this is cleverly designed so that when not in use it’s lifted up to the drawbar, so the scraper can be loaded as normal. The chute is lowered down and back under the bowl to catch material as it’s ejected, and directed into the rut. This gives you an extremely versatile multi-use machine. HW Industries has been building scrapers for more than 60 years, starting back in the 1950s. With a third generation of the family now involved in the business, there is a ‘can do’ innovative approach, which has seen them continually develop their machines to meet the requirements of the people using them. They are happy to listen and incorporate new ideas into the machines. All HW Industries machinery is backed by a full two-year warranty, showing the faith they have in their gear. I was particularly impressed by the incorporation of clever yet simple solutions to problems often encountered on trailers and scrapers.